Our Good Deal Promise Means You’ll Get a Good Deal the First Time! On the hunt for a new car to spice up your commutes? Once you begin your search for the perfect option, you’ll soon discover that your choices are almost limitless. With so many different makes, models, trim levels, and features to explore, you might find that you need some help narrowing in on the best choice for you. 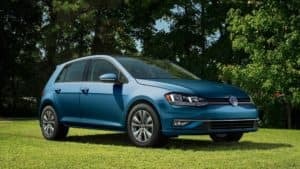 To help you out, our team here at Volkswagen SouthTowne has compiled a selection of vehicle comparisons, all of which can be found right on this page. Simply locate the model in which you’re interested, and click through to see how it matches up with its toughest competition. Whether you’re looking for a capable SUV, a large family vehicle, or a small commuter car, there’s an option for everyone to discover on our lot. Each of our comparisons takes one of those models and directly compares it in a head-to-head matchup with its competition. You’ll be able to compare the vehicles side-by-side, so you can see which offers the features that you most need for your commutes around West Valley, Murray City, and Orem. You’ll take a deep dive into the nuts and bolts of what each car has to offer under the hood and inside the cabin, learning all of the subtle differences that make each one unique. With all of this information conveniently compiled in one location on our website, you’ll find that your research process is quick and convenient – so you can get behind the wheel much sooner. All of these little details can add up to make a big difference to your daily drives, so you don’t want to overlook anything before you decide on which vehicle you’ll purchase. Ready to get behind the wheel of your favorite model and see what it’s got? 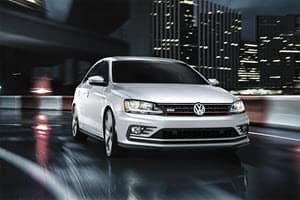 Contact Volkswagen SouthTowne today to schedule your test drive and get ready to hit the streets of West Valley, Murray City, and Orem.